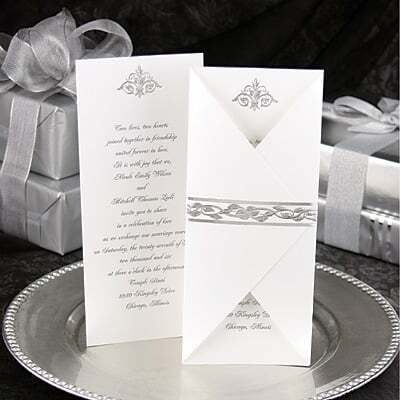 Your wedding invitation ensemble is a collection of cards and envelopes designed to convey the news of your wedding beautifully. Select each piece of the ensemble to give your invitation a look and meaning in keeping with your ceremony. Your wedding invitations provide a great deal of important information about your celebration, as well as setting the stage for your event. By their design and wording, they also indicate the style of the wedding, informing the guests of suitable dress and the type of celebration to expect. 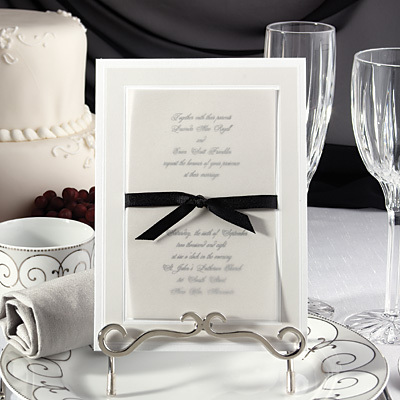 The invitations introduce the wedding couple and indicate the hosts of the celebration. They also provide the date and time of the ceremony and its location. Brief information concerning the reception and any important instructions ("No photographs during the ceremony" or "No gifts please") may also be noted on the invitations; however, space is limited and more detailed information is best placed on the reception cards. 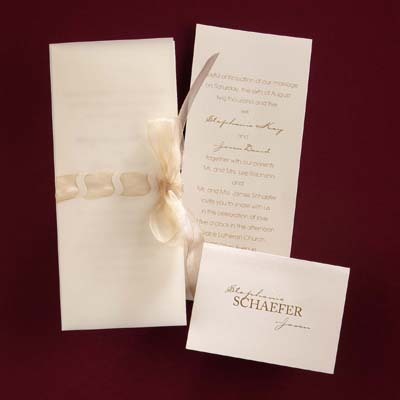 The inner envelopes protect the invitation and list the guests invited. 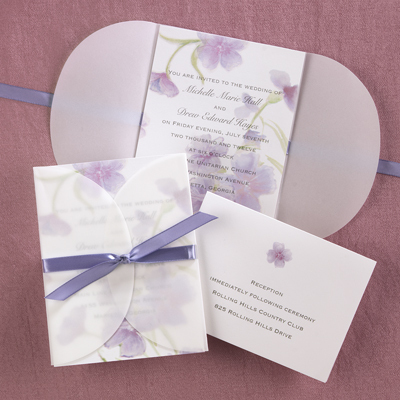 For added elegance, inner envelopes may be enhanced with colored linings to coordinate with your invitation design and ink color. The outer envelopes serve as mailing vehicles. Printed return addresses on outer envelopes are also a wise addition, as they ensure the return of invitations with undeliverable addresses. Be sure to add sparkling envelope seals for a finishing touch. 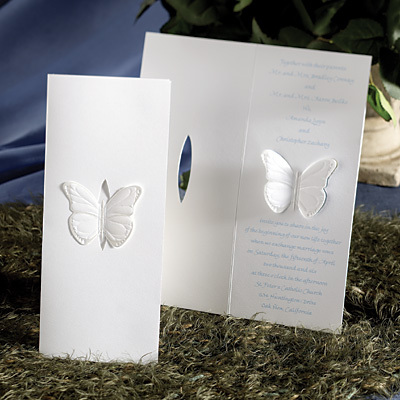 If your wedding is small or private, send announcements to friends and family members you are unable to invite. Others not attending your wedding, such as distant relatives and business associates, will also appreciate receiving news of your marriage. Announcements are sent immediately following the wedding and include the date and location of the ceremony. At Home Cards may accompany the announcements to inform recipients of your new address. Close to home or far away, allow your guests plenty of time to make their plans for your big day. 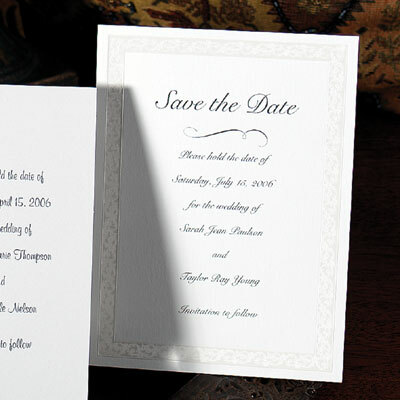 Enclosures are small cards included with the invitations that provide more detailed information about the celebration. 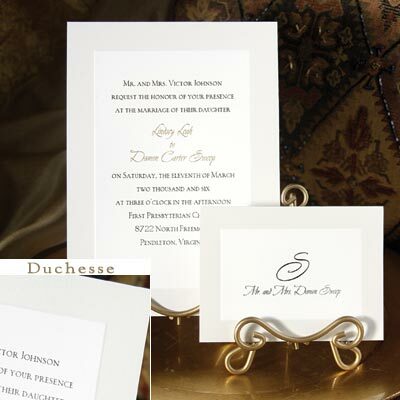 Reception Cards provide information about the time and location of the celebration following the ceremony. They may also be used for other events, such as the wedding dance, breakfast and gift openings. 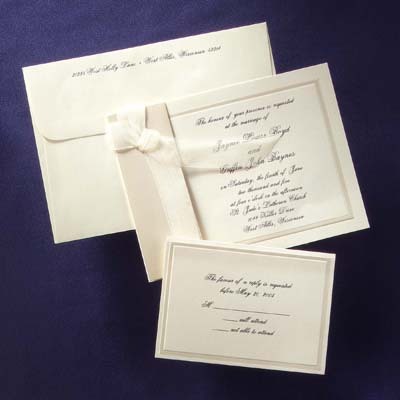 As They are enclosed in the invitations, Reception Cards do not require individual envelopes. 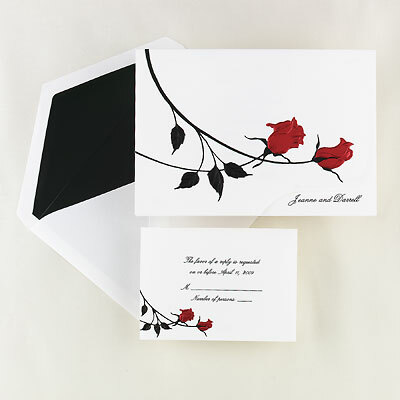 Response cards accompany reception cards in the invitation and play an essential role in the efficient planning of your wedding reception. The cards are completed and returned to you by guests, informing you whether they will attend. Response cards denote a desired response date and include printed return envelopes to ensure quick replies and accurate results. Be sure to place a stamp on each return envelope for guests' convenience. Personalized with your names or monogram, these cards are perfect for writing thank you notes for wedding gifts and for writing notes long after the wedding. 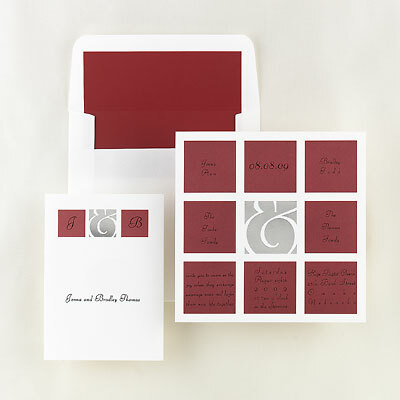 Informal cards may also be printed with the bride’s maiden name or monogram to be used as pre-wedding correspondence. 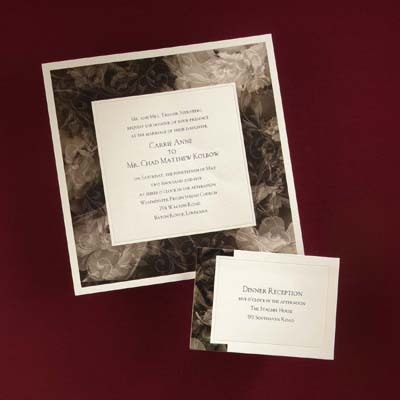 Pew cards are included in the invitations of honored guests, such as close family members and special friends. These guests present their cards upon arrival at the ceremony to receive their reserved "within the ribbon" seating. 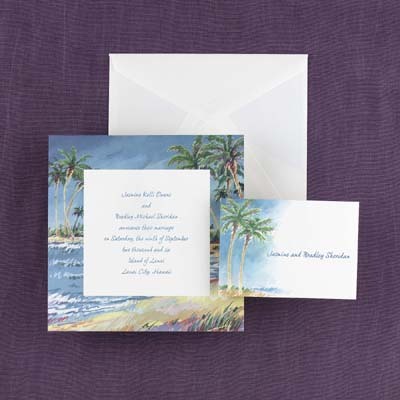 Map cards are enclosed in the invitations to assure guests will find your ceremony and reception sites easily. If a detailed map is unnecessary, direction cards printed with worded instructions only are an excellent alternative.